Bundesliga | Bayern vs. Freiburg - As it happened! 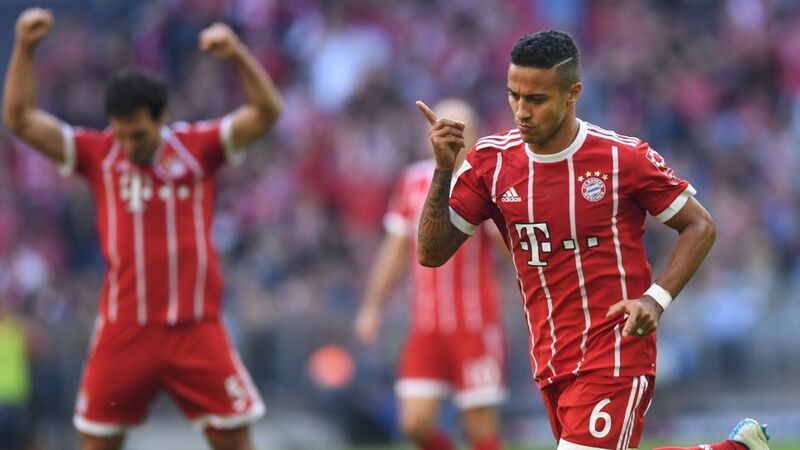 Thiago scored the third of Bayern's four goals so far and celebrated with class. Bayern Munich vs. Freiburg - As it happened! Jupp Heynckes made a winning return to the Allianz Arena dugout on Matchday 8, his Bayern Munich charges cantering to a comfortable 5-0 win against Freiburg. Click here for the Bayern vs Freiburg match centre!